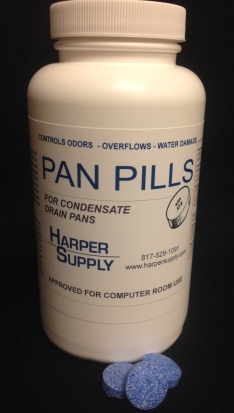 Pan Pills are used for eliminating odors, overflows and water damage in condensate drain pans. Pan Pills tablets are easy to use and do not form any deposits in the pan or drain. Pan Pills tablets clean sludge, scum and other accumulations in condensate drain pans.